Chronographs are probably the most popular complications you can add to a watch. A complication is any feature that is in addition to the basics of a watch that tells the time. You could say the simplest complication is a sweep second hand since it's separate from the hour and minute hands, but that would be debatable since it's often attached to one of the primary train wheels. Other complications are things like a date wheel, or a day of the week wheel, alarm function, and even an automatic framework is a complication. 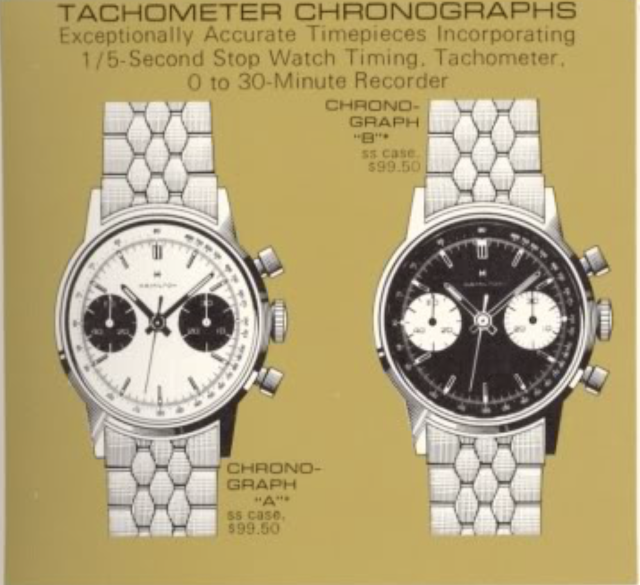 Chronographs are stop watches. So there is an added feature where you can start. stop and reset a separate timing mechanism. A Chronometer, on the other hand, is a watch or clock that has been tested and certified to perform to a very high level of precision and accuracy. You could add all of these features to a watch and have an automatic chronograph with a day / date feature... and probably add a few more like a repeater and alarm. Now that would be a complicated watch. 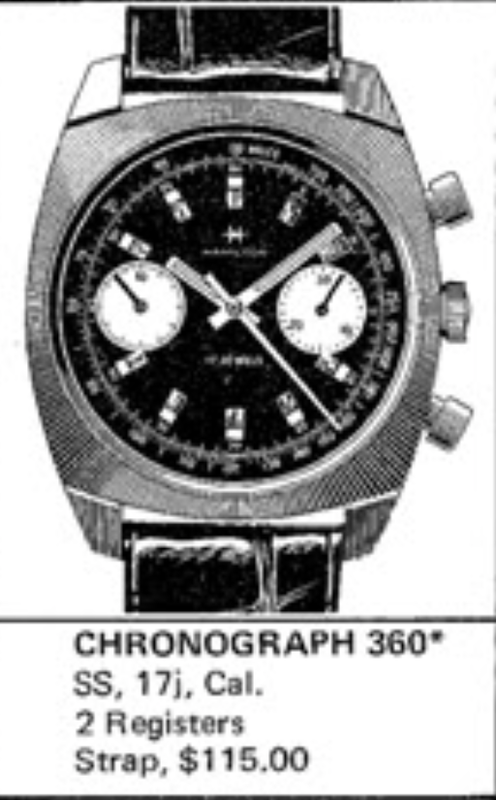 Hamilton's first Chronographs were the Chronograph A and the Chronograph B. Both models were introduced in 1968. The B model was made until 1971 but the A model appears to only have been made in 1968 & 69. As you can see, the Chronograph A has a white dial with black sub registers. 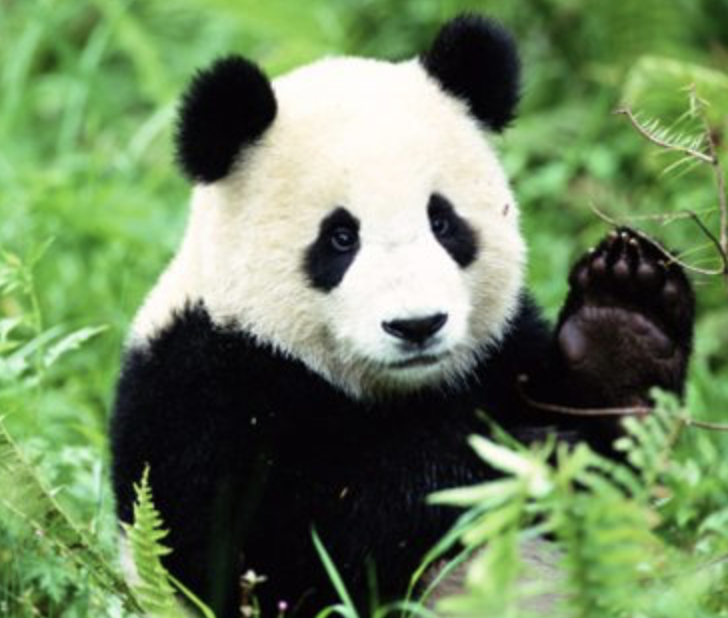 Because of this, the dial is often called a panda dial. The black dialed Chronograph B has the opposite configuration and is not a panda dial, although sometimes people call it that. Wrist watches with chronographs date back well into the 1930s so Hamilton was a little late to the party, although Hamilton did make pocket watch chronographs for the military like the Model 23. I think auto racing in the late 1960s, formula1, etc. made Chronographs a very popular fashion statement for men and that trend has stuck around for 50 years. Buying vintage chronographs is full of perils. They can be subject to lots of wear and tear and without proper maintenance you may find that they no longer work properly. In addition, they can be extremely expensive to repair - assuming you can even find parts for them. I recommend you only purchase a chronograph after you validate that all of the functions perform adequately... otherwise steer clear or prepare for the worst. That said, I recently crossed my fingers and took a leap of faith on a Chronograph A that was listed as "recently serviced". It was not inexpensive but it came with it's original bracelet and was listed as fully functioning. The worst case is I would have t return it for being "other than described". As received, I was pleasantly surprised. The white dial has a hint of green patina around the left side but other than that it looks very good. It's obviously been well-used but this is not a common model so I was very happy to find it. To orient you if you are unfamiliar, the crown on the side winds and sets the watch. The upper button starts and stops the chronograph and the lower button will reset the hands to zero. The register on the left is the second hand for the watch and the register on the right is the elapsed minutes of the stop watch. So this chronograph will count up to 30 minutes of elapsed time before repeating. The back of the watch says Hamilton Swiss and Stainless Steel. I don't see any other markings. Inside is a 17 jewel Hamilton grade 643. This movement is based on the Valjoux 7730, a manual winding chronograph ebauche that many watch brands used. That means that parts should be easy to find but it also means that lots of watches have consumed the spare parts supply. It can be tricky to find parts like hour and minute hands for this caliber. This movement looks great and I can see fresh oil and lubrication so that's a good sign it was recently serviced. Chronographs are two watches in one... or should I say two watches back to back. The main watch parts are underneath the chronograph parts. So what you see in the shot below are mostly the chronograph parts and the main watch movement is sandwiched between the dial the chronograph. Putting it on the timer.... no complaints here. It doesn't get any better than this. This watch can go directly to it's pillow shot and then onto my wrist. What a cool watch! It would be the pride of the fleet in any collection. I haven't gotten up the nerve yet to tackle a chronograph yet. I figure if I take one apart and try to reassemble it I would probably end up with a few extra parts left over. However, someday I will give it a try. In fact, a year or two ago I picked up a project watch. It has no hands, no crystal, and no back, but it does run. Based on the shape of the bezel and the dial, I can tell that it's a 1970 Chronograph 360. This watch has a similar movement called the Hamilton 647, which is based on the Valjoux 7733. It's very similar to the 7730 so hopefully it will be a good movement to practice on. It's missing a couple of screws but should teach me a thing or two nonetheless. This is a great watch Dan. As nice as the Intra-Matic re-issue is you can't beat the original!